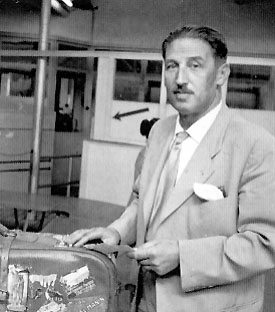 Oscar Schindler used his enamelware factory as a cover in order to save Jews; Jan and Antonina Żabiński used the zoo they were running for this very same purpose; and Jaap Penraat from Holland used to smuggle Jews dressed as construction workers. All of them justly received the Righteous Among the Nations honorific from the state of Israel. So how come a man who saved thousands of lives using nothing but his bare hands was not honored the same title? Felix Kersten was born in Tartu (nowadays Estonia) in 1898. After graduating in physical therapy in Helsinki, he apprenticed in Berlin at the clinic of a notable therapeutic masseur, called Dr. Ko. Upon returning to his homeland, Tibet, Ko left the clinic in the marvelous hands of Kersten. Rumors about His legendary hands spread quickly and soon he was treating the entire aristocracy of the Weimar Republic – counts, dukes and princes. He even eased the pains of the king of Romania, and his reputation as an alternative healer specializing in medical masseuse was rising. He soon gained financial success which enabled him to buy a sizable house in a wealthy quarter in Berlin, and married German Aryan woman from the upper class, suitable for his new status. Everything about this young family seemed promising and optimistic – until World War II. Heinrich Himmler, commander of the S.S. and main planner of the Jewish genocide, suffered malicious stomach pains, and recovered after being treated by Kersten’s magical hands, after which he would not leave his trusted physician. Himmler offered Kersten to become his personal masseur and doctor. For a while, Kersten managed to avoid the unwanted position, but finally Himmler made him choose: either become his personal physician, or be sent to a concentration camp. Kersten made a seemingly egoistic choice, but as his decision saved many lives, surely the Utilitarian philosophers Bentham and Mill would approve his moral choice. According to Kersten’s memoir, so close he was to Himmler – who was known as an extremely superstitious man – that he became his only confidant. Himmler called him “My magician Budha”. In his new job, Kersten was able to hear all kinds of disturbing information about the horrors committed by the Nazi regime. He realized that the same fate which made him a good healer has destined him to also use his new advantage to save lives. He applied a basic give and take method: one massage for one (or few) life. He stopped charging Himmler for the treatments and instead would present a note specifying his requests, such as release of underground prisoners, labor captives, homosexuals and others. Himmler would read the note – and meet the demand. Kersten’s life was in constant danger. Himmler may have seemed like a solid restrained official, but deep inside he was an unsteady murderous unpredicted monster. He used to joke diabolically that “every time Dr. Kersten treats me, it costs me one pardoning”. One time Kersten was denied though. When he asked Himmler to set free an entire Jewish transport he got a frightful stare from the boss, who was famous among the Nazi leadership as a fanatic Nazi devoted to the idea of purging Aryan Europe from all Jews. Towards the end of the war, Himmler started to realize that some of his firm convictions needed to be reviewed. Although he shared Hitler’s belief that the Jews were a demonic, global race that poisons the world, realizing the end of the war is near, he started to consider using the strength of those he thought of as roaches, in order to affect the allies to sign an agreement. Sensing the changing state of mind of his boss and patient, Kersten set a clandestine meeting in his house between Himmler and the World Jewish Congress Swedish delegate, Norbert Masur. On the night of April 20, 1945, while the Red Army was approaching Berlin, Hitler gathered his close friends and subordinates to celebrate his 56th (and last) birthday. At some point Himmler took his leave and went out to meet Masur. If only the Führer knew where his “truthful Heinrich” was heading, straight from his birthday party! After 2 AM Himmler’s car stopped in front of Kersten’s house. 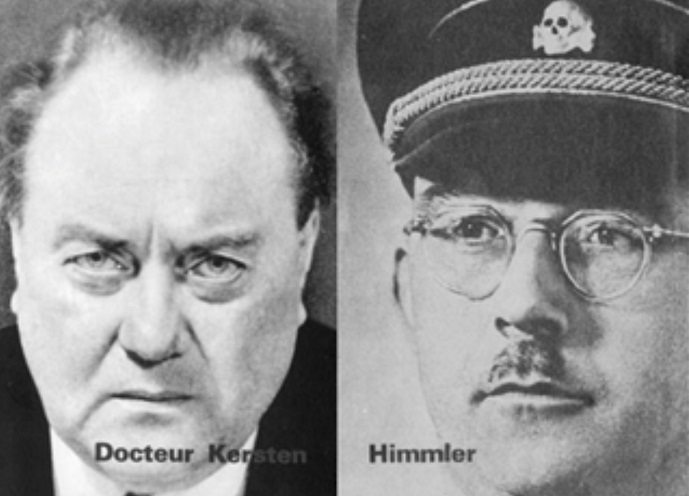 In “The Devil’s Doctor: Felix Kersten and the Secret Plot to Turn Himmler Against Hitler” by the American historian John H. Waller, the meeting is described at length. Himmler gave a two and a half hours speech full of pathetic self-justification, lies and racist asserts. 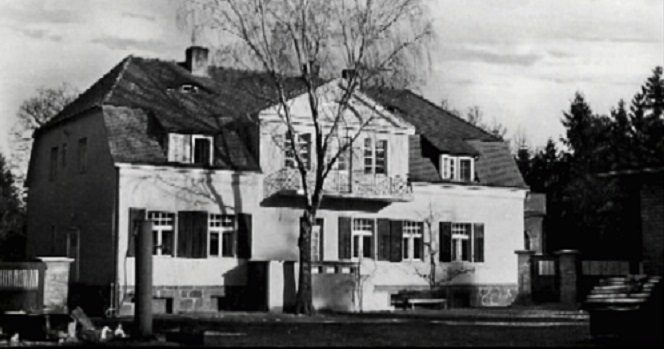 Kersten and Masur were sitting still, focusing on their goal – to take advantage of the meeting in order to save as many Jews as they could – which, at the end of the meeting – they achieved successfully. Himmler signed a release of thousands of prisoners, most of them young Jewish women who were transferred to Sweden, thus rescued from certain death. One of them was Tania Zvi, who married Israeli MK and The Israel Prize laureate, Aryeh “Lova” Eliav. After the war Felix Kersten settled in Sweden, where he passed away in 1960. His descendants still wait for Israeli authorities to come to their senses and honor him the Righteous Among the Nations title.